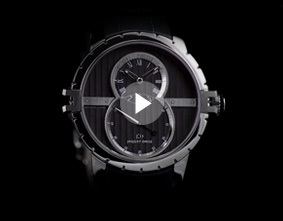 Pierre Jaquet-Droz was one of the greatest craftsmen of his time. 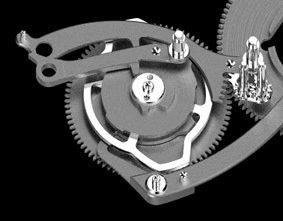 Born in La Chaux-de-Fonds in 1721, he was a master watchmaker of genius and vision who marked the history of his profession. For nearly three centuries, Jaquet Droz has set time under the banner of wonder, excellence, and constantly renewed creativity. 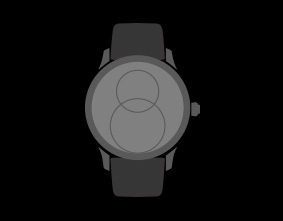 Through its timepieces Jaquet Droz has always combined design, materials and expertise with the most unexpected mechanical refinements. Complications of surpassing sophistication are juxtaposed with the purity of enamel or the luster of pearls and precious stones, while made-to-order dials showcase magnificent minerals and finely worked decorations. 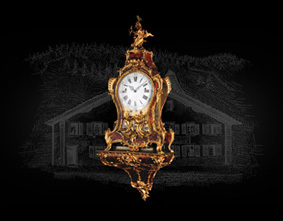 Les Ambassadeurs invites you to discover the heritage and expertise of Jaquet Droz at a unique exhibition in the heart of Zurich. 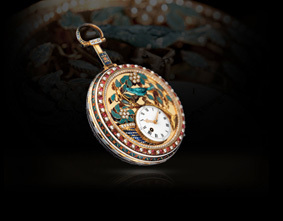 Admire the tradition of craftsmanship and fine decoration established by the company's founder in the 18th century: the exquisite enamel of the case decorated with small stripes, the painting on enamel and the sculpture and engraving used to decorate most pocket watches, pendant watches and musical flasks. Until now, these details have been on display in certain exceptional pieces in the collection, which perpetuates the tradition and pays tribute to the work of these highly skilled artists. 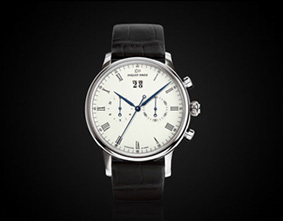 Discover the origins of the "8" and the Grande Seconde, as well as its many variations. 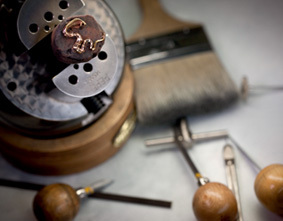 The technique of Grand Feu enameling and the working of rare minerals can be admired in ten display cases. Also on display are The Charming Bird, the first singing bird automaton integrated in a wrist watch, and The Bird Repeater, a genuine horological feat showcasing each of the decorative professions, and whose automaton cam system uses technology developed in the Age of Enlightenment. 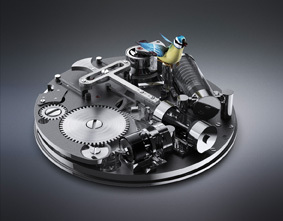 A modern, poetic homage to the historic creativity and expertise of the master craftsmen of Jaquet Droz, on the theme of birds. 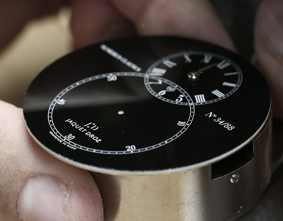 An exceptional tradition integrating the ultimate technical innovations in watchmaking. Not forgetting the timeless secret signature of Jaquet Droz mechanical movements, which are all engraved with a three-leaf clover. From 2nd to 30th May 2016, the Jaquet Droz exhibition presents an exclusive selection of the brand's most refined models, as well as a collection of antique watches at Les Ambassadeurs boutique. Monday to Friday, 9.30 am to 7.00 pm/Saturday 9.30 am to 5.00 pm.